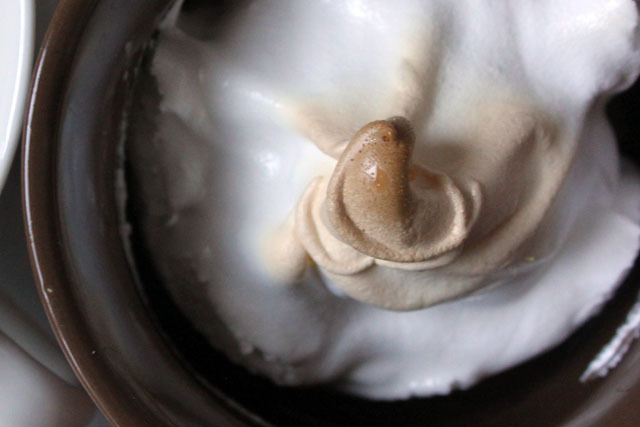 Once I read a review that described Rachel Allen as the Nigella Lawson of Ireland, and that’s when I first checked out her cookbooks. 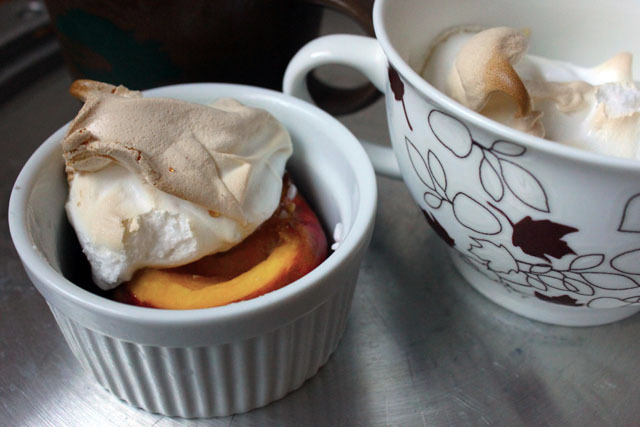 When I saw the beautiful nectarines at the Co-op earlier this week, I was reminded of a peach meringue bake recipe from Allen’s cookbook, Favorite Food at Home : Delicious Comfort Food from Ireland’s Most Famous Chef. 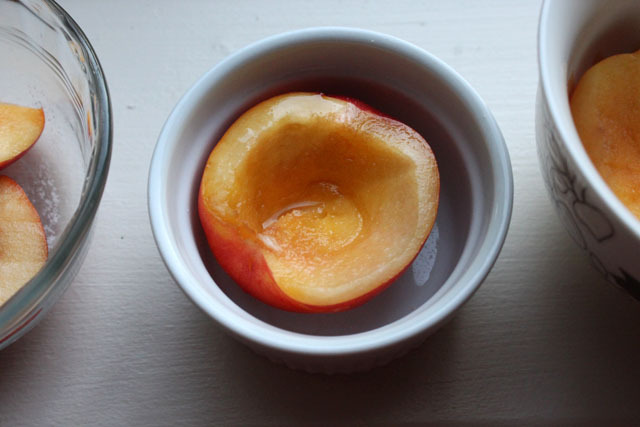 A really simple recipe where I used nectarines and caster sugar instead of peaches and brown sugar and individualized by using an assortment of mugs and ramekins instead of one big baking dish. The summer sun has been out these past few days with the crispy autumn leaves in Indiana. Sweet, toasty, browning.